wheelchair design is the the application of concepts to create a manual or electrical propelled chair for people who find walking difficult or impossible due to illness, injury, or disabilities. in an inspiring example of inclusive design, sesame access offers a solution to one of wheelchair-users biggest difficulties when navigating the urban environment. 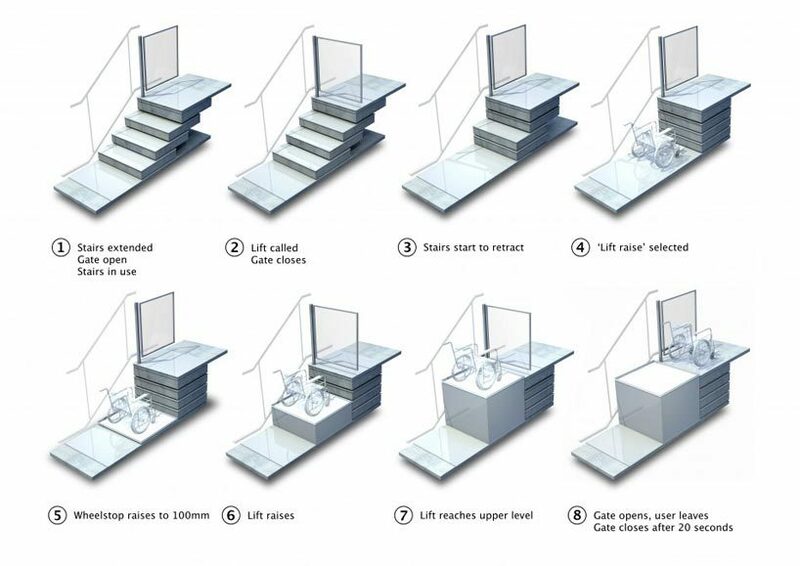 the UK-based company creates invisible wheelchair lifts, concealed within bespoke staircases which transform at the touch of a button. using cutting edge engineering technology sesame access has installed lifts across cambridge universities, kensington palace, tate britain and sotheby’s paris, among other locations. 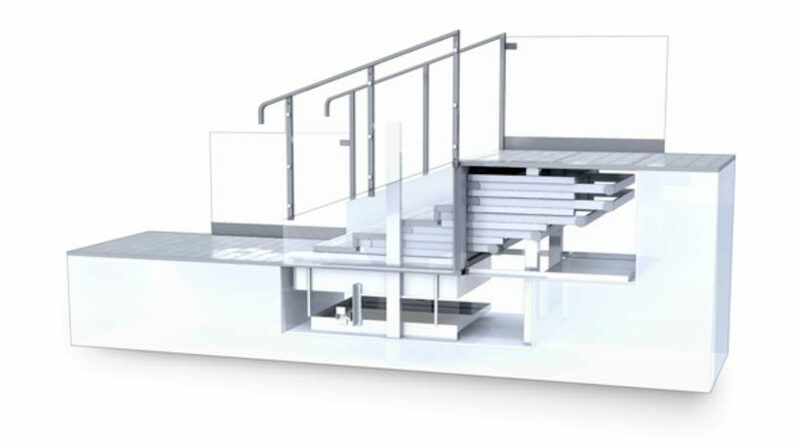 the lift is called by pressing a button, causing the steps of the staircase to retract, revealing a platform for wheelchairs to be elevated to the desired level. the idea itself was sparked by founder charlie lyons over a pint in the pub with a friend whose wife had complained of problems accessing buildings. since building a prototype and bringing it to market, lyons has installed over 100 lifts across the UK and europe, a small dent in the amount of stairwells that should be democratised but an example of unsurpassed commitment to service through design. so far this year designboom has reported on other advancements made in design with regards to accessibility. these include SCEWO’s stair-climbing wheelchair which won the design prize award for social impact and apple’s series of accessibility emojis.